However, when I try to launch “launch_stach.py” from my home directory I get an error on line 28 “from stash import stash” that says “not well-formed (invalid token). Please, check snapshot attached. 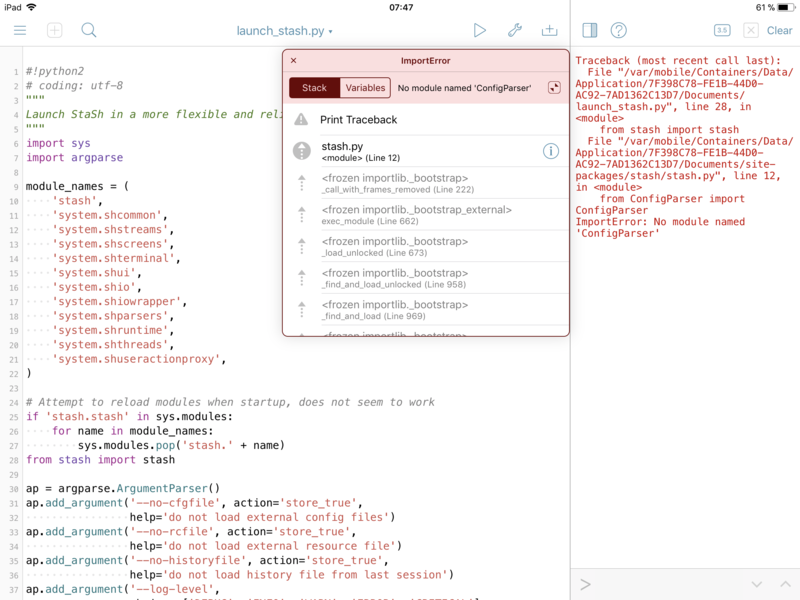 If I try to go to “site-packages” —> “stash” and then execute “stash.py” I get an error “No module named “configParser”. 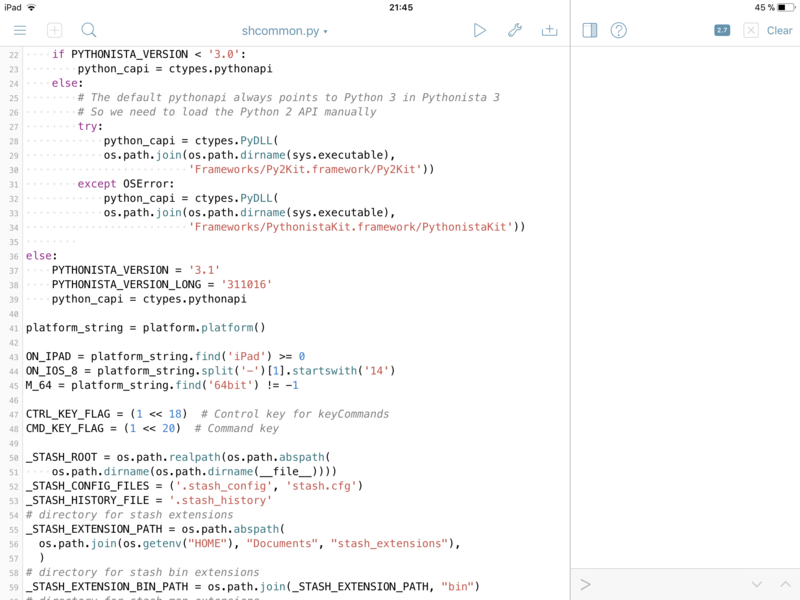 Of course, I tryed to restart pythonista 3 but it didn’t fix the issue. You could try copying the first line of the first script (#!python2) and pasting that in as the first line of the second file and then rerunning the second file. It is my undersstanding that StaSH must run under Python 2 and your error message gives me the impression that you are running under Python 3. Hello @ccc , thans for your response. 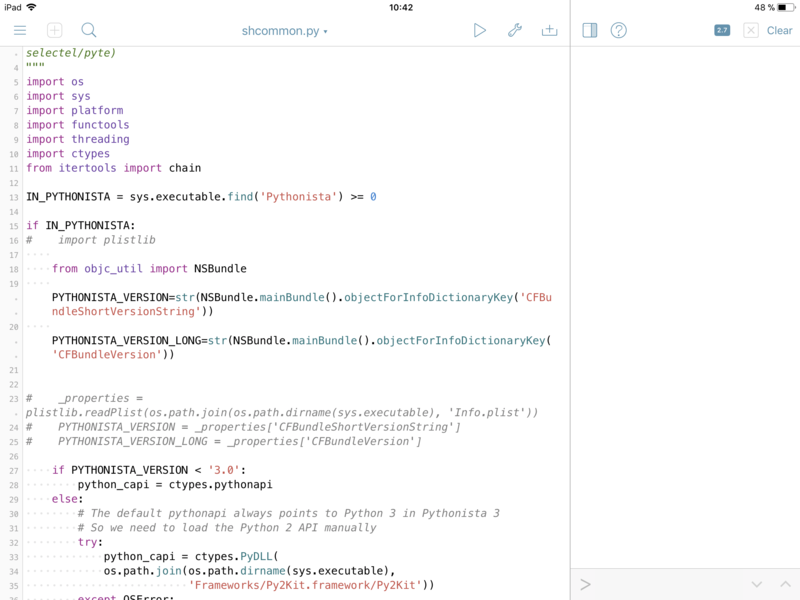 Pythonista 3 is able to run the scripts either with « python 2 » or « python 3 », I tried both with the same result. 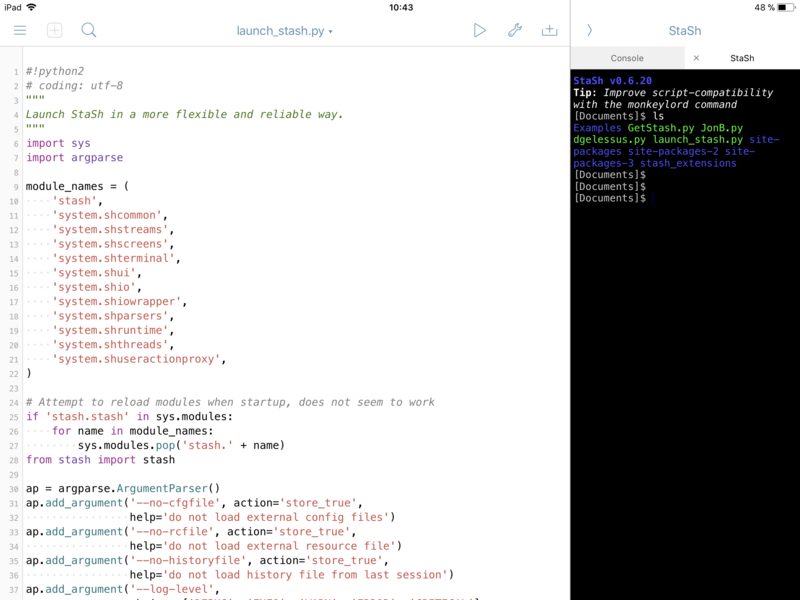 I tryed to remove « stash » and reinstall it », « force quit » pythonista, etc... but no success. What pythonista version are you using? The latest app store version, or the beta? The parse error indicates that your Info.plist is corrupted. You should try removing/reinstalling pythonista. If you have pythonista 2.0 installed, you won't lose any files, otherwise you need to back up first. 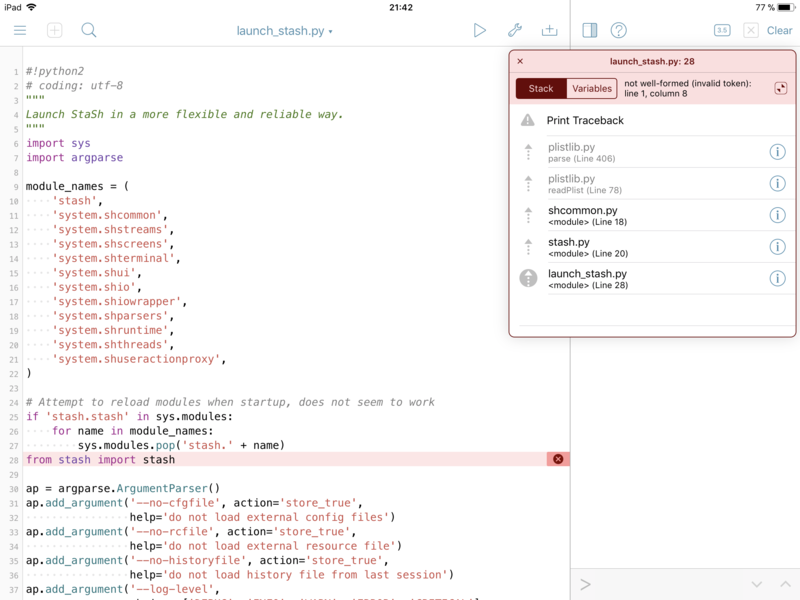 The ConfigParser error is because you are running stash with python 3.x -- stash is only compatible with python 2.x (which is why launch_stash has the #!python2 at the start. 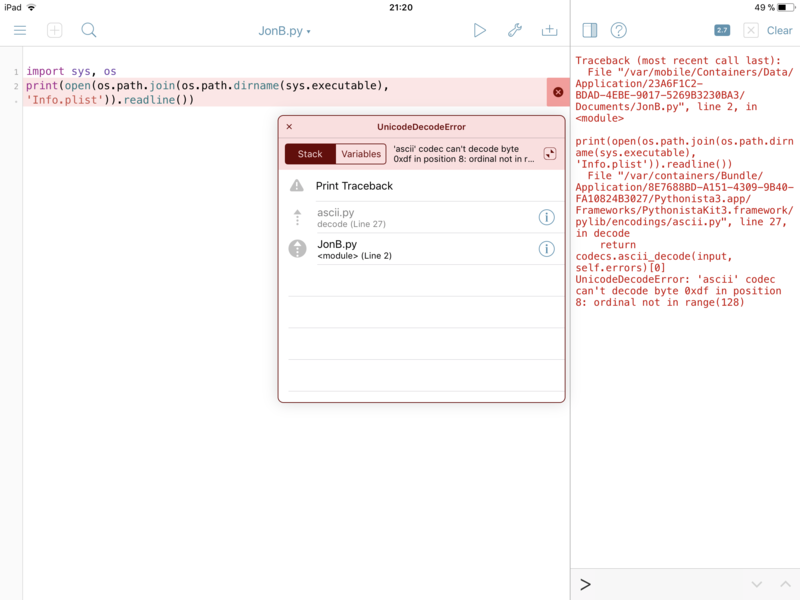 you also never said what device /os versionyou are using -- has ios started switching over to binary Info.plists? I reinstalled Pythonista and then first thing I did is to download “stash”, then I ran “launch_stash.py” with version python 2.7 but still....same error. @JonB I have an idea what the issue could be. 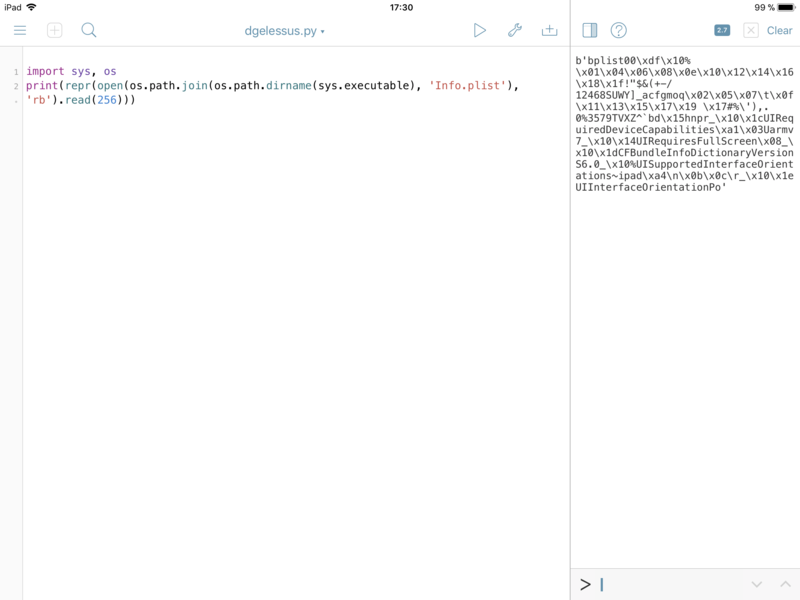 Pythonista's Info.plist might be a binary plist (rather than XML) in the current App Store version of Pythonista. The Python 2 version of plistlib only supports XML plists I think. The Python 3 version supports both and detects the format automatically. @JonB Any workaroung you come up with to make that work? 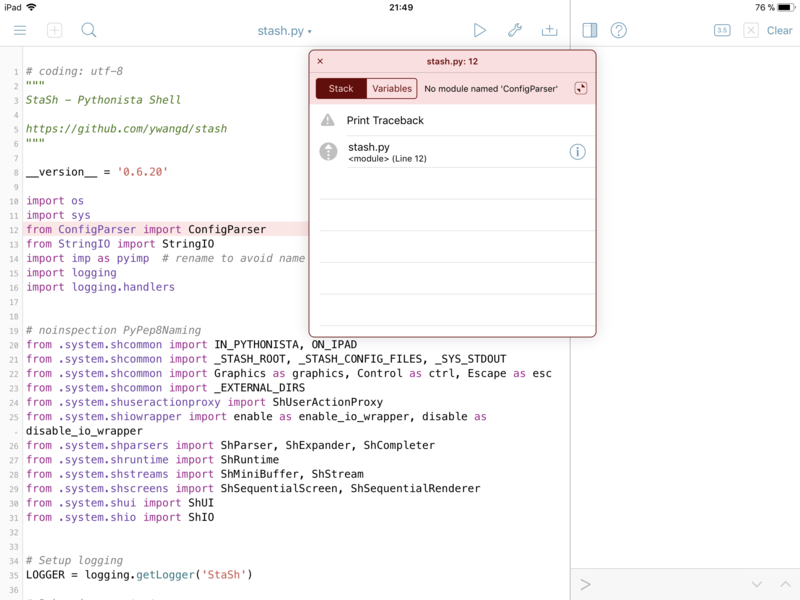 @JonB What exactly does Stash use the Pythonista version number for? If you only need to know whether you're in Pythonista 3 or not, you could probably check sys.executable.endswith("3") instead, or see whether Py3Kit.framework exists or not. I think it just uses it to report version # at startup, and check for pythonista 3. The code I posted above should work, in shcommon.py. objc_util is probably overkill, but already imported for stash. I modifyed the “shcommon.py” according to the @JonB suggestions and it worked. I was also able to “pip install netmiko” and connect to my switches to execute the commands I wanted to. I am really happy now! Thanks! I think this should be taken into account for a new release of the app? if you'd like. 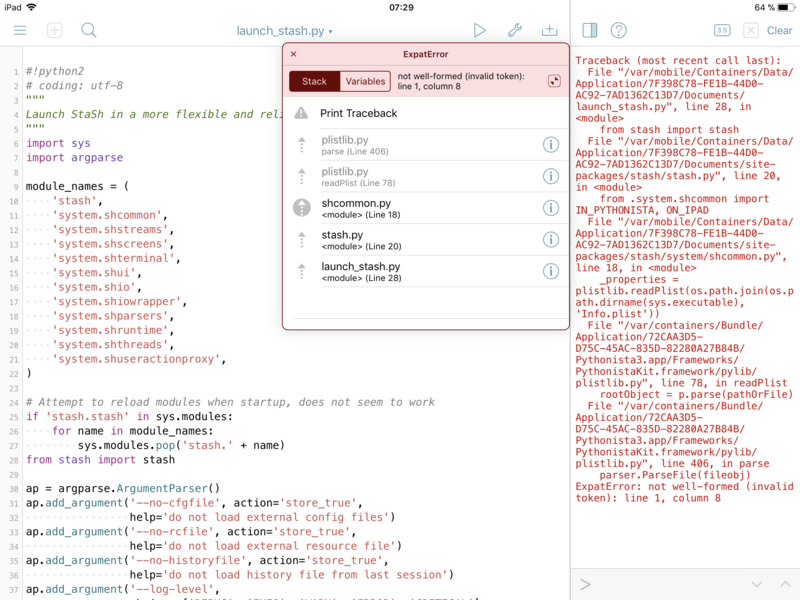 you can submit a pull request over on the stash github page. If not, I will do it this week. I ran into the same problem today. After reading through this thread I realized perhaps it had to do with having both Pythonista 2 and the new Pythonista 3 installed. I uninstalled both and reinstalled 3 and it fixed the problem.